Professional Plumbing & Design offers Residential and Commercial plumbing services and repair. Professional Plumbing & Design has been offering Residential and Commercial Plumbing services to Sarasota and the surrounding areas including Bradenton, Palmetto, and Venice since 1985. If you are looking for a reliable Sarasota Plumber, we would like to earn your business! From a simple faucet repair to more complex sewer and drainage issues, Professional Plumbing & Design can handle any Sarasota plumbing job, large or small and, if something unexpected happens in the middle of the night, you can count on us to resolve your plumbing emergency, promptly and professionally. Our phones are staffed 24 hours a day, seven days a week so you never speak to an answering machine or voicemail. We offer clean, fast, and guaranteed same day service plumbing repairs. We also have 24 hour emergency service since plumbing problems can happen at any time of day, and usually at very inconvenient times. We are licensed, bonded, and insured plumbing contractors and we specialize in a full range of plumbing services including Water Heater repair and replacement, jet Drain Cleaning , Video Inspection , leak detection, and re-piping. Plumbing problems can be scary, stressful, and even dangerous, but most plumbing problems can be quickly fixed or even avoided altogether if you have the right team on your side. Professional Plumbing & Design of Sarasota Florida has the tools and expertise to handle larger plumbing projects like condominiums, restaurants, retail stores, and factories. Our plumbing contractors work closely with local Property Managers to ensure their unique plumbing needs are met. 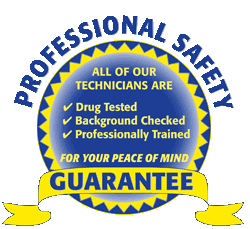 In addition to having a highly trained, friendly team of Plumbers, we guarantee top quality and workmanship standards on every job. With our upfront pricing policy and timely same day service, it's no wonder why so many people rely on us for their Drain Cleaning and plumbing needs. Our Pro Plumbers are so certain that you will be satisfied with the services performed by our team that we stand behind all plumbing work performed with a 100% Satisfaction Guarantee. If you are unhappy for any reason, we will re-do your plumbing repair for free! A Water Heater is one of the most important components of any household. From baths and showers to dishwashing and laundry, we all rely on hot water every day to keep things going smoothly. Our dedicated plumbing professionals will ensure you maintain hot water through our Water Heater repair and maintenance services. Should your Water Heater need replacement, we carry all major brands of Water Heaters and provide fast and effective installation service. With our fast and friendly service, you can rest assured a licensed Plumber from our team will arrive on time to resolve any plumbing situation that needs immediate attention. 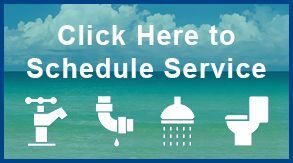 In addition to all the installation and repair services you would expect from most Sarasota plumbing companies, Professional Plumbing & Design offers Drain Cleaning & High Pressure Jetting, Sewer Location & Color Video Inspections, Drain Pipe Lining, Repiping of Water & Drain Lines, Propane & Natural Gas work, Water Filters, Water Heaters, Garbage Disposals, and 24 Hour Emergency Service to Sarasota, Bradenton, Palmetto, Venice, and the surrounding areas. With our fast and friendly service, you can rest assured a licensed Plumber from our team will arrive on time to resolve any plumbing situation that needs immediate attention. With services provided in serving Sarasota, Bradenton, Palmetto, Venice, and the surrounding areas. Call one of our convenient locations nearest you to make an appointment today.